Back in March, we reported on a Paul Walker documentary in the works. It’s being directed by Adrian Buitenhuis and called I Am Paul Walker. Comprised of a series of interviews that colorfully paint the actor’s life, we now have a small snippet of what to expect. The two-minute trailer features interviews from Walker’s brothers, sister, directors, friends, manager and uncle. They say that he was larger than life, that Hollywood failed to capture that about him. It’s too easy—and dismissive—to simply say that all Walker did was star in some crappy action movies. He wasn’t one of those Oscar-winning A-listers, but you got the sense that that wasn’t really what he wanted, either. He loved cars, surfing and his daughter. Sometimes that’s all anyone needs. Walker died in 2013 in a Porsche Carrera GT crash. His death was felt by many in the automotive community, as he was an enthusiast and an active participant in the Southern California tuning, aftermarket and racing scenes with the race shop he helped start called Always Evolving. 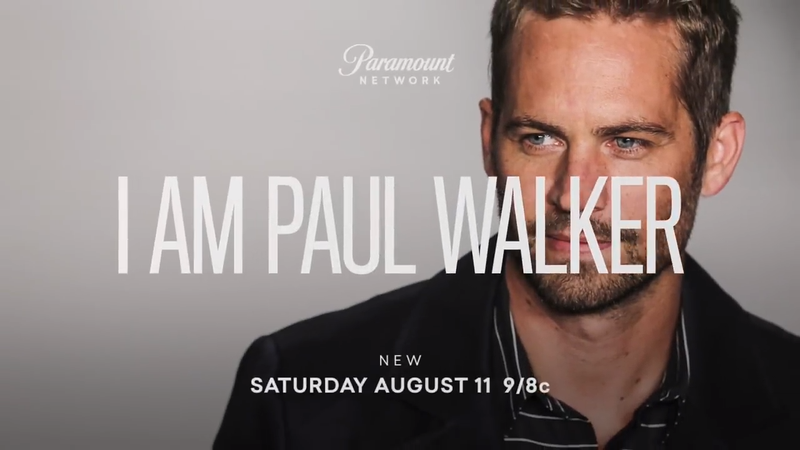 I Am Paul Walker will premier on Aug. 11 at 9/8c on Paramount Network.